Annie watches her daughters at swim practice, while wondering why her husband doesn’t kiss her anymore. At the same time, a killer watches the girls and imagines seeing the life leaving their eyes. 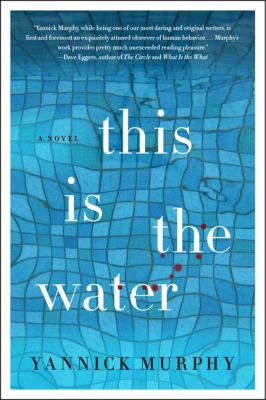 In This is the Water, by Yannick Murphy, we see Annie’s harried life as a swim mom in rural Vermont, driving her daughters to practice and meets, grieving over her brother’s suicide and we see the killer’s plotting .The tension builds unbearably, and with wit and skill Murphy leads us to the powerful climax. It’s an offbeat thriller written with imagination and charm.